Dubai Pakistan is expected to earn millions of dollars annually in foreign exchange by exporting donkeys, said a senior official at the livestock department in Khyber Pakhtunkhwa province. Pakistan has the world’s third largest population of donkeys with more than 5 million animals, while China stands at number one. In a bid to boost the country’s exports to earn much needed foreign exchange, the Live Stock Department in Khyber Pakhtunkhwa has announced that it will develop donkey farms — the first of its kind in the country. This follows the opening of the first donkey hospital in Lahore, which has the largest number of animals in the country. According to reports, at least two donkey farms are being set up in Dera Ismail Khan and Mansehra with foreign partnership. Chinese companies have shown interest in donkey farming in Pakistan. The government would want to sign an agreement with a company that is associated with the Chinese government, Geo TV reported. 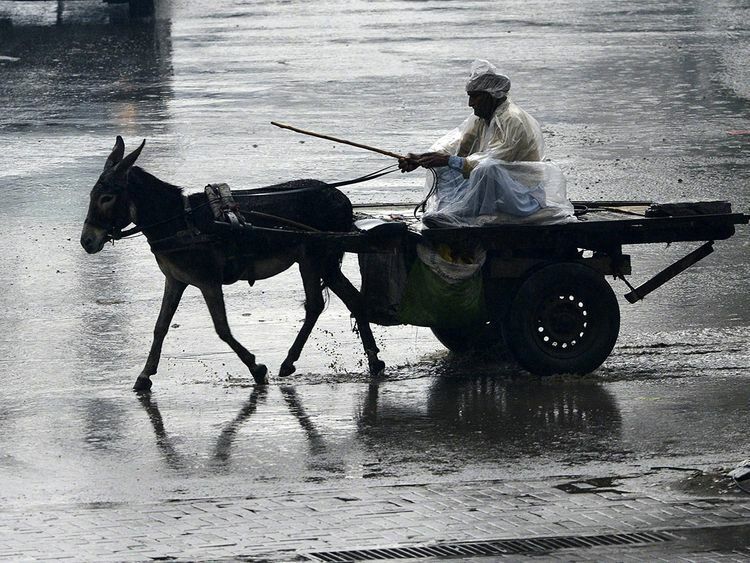 Officials said foreign companies are ready to make a $3 billion investment in the commercial farming of donkeys. "We want to sign an agreement after thinking carefully because we do not want scarcity of animals in Khyber Paktunkhwa," said an official. During the first three years, the government plans to export as many as 80,000 donkeys to China. The donkey farm is part of projects initiated by the Khyber-Pakhtunkhwa provincial government and is called "KP-China Sustainable Donkey Development Programme,. It is one of the many investment proposals the Khyber-Pakhtunkhwa Planning and Development Department has put forward. Donkeys are is highly prized in China, especially for their hide which is used to manufacture traditional Chinese medicines. The project was unveiled at a time when China is desperately in need of more donkeys. Gelatin made from donkey skin has been long considered to have medicinal properties in China, traditionally being thought to nourish the blood, enhance the immune system and even prolong one's life. The most famous variety donkey gelatin, named "ejiao," is produced in Dong'e County in East China's Shandong Province. It is prized in China, with the price surging from 130 yuan ($18.9) per kilogram in 2001 to 5,400 yuan this year according to the National Business Daily. About 4 million donkeys are slaughtered each year to produce ejiao. As China's donkey shortage is occurring at a time when Pakistan has one of the largest stocks, around 5 million, the Khyber-Pakhtunkhwa government will "develop market linkages to improve the price and enhance the income of breeders and traders," according to the government program's website. In 2015, the Economic Coordination Committee led by Finance Minister Ishaq Dar, placed a temporary ban on the export of donkey hide, fearing an irreversible decline in stock but the ban has been lifted now. In the first phase, sick and handicapped animals will be exported from Khyber-Pakhtunkhwa where 70,000 people use donkeys as working animals. According to the Punjab Livestock Department, the number of donkeys in Lahore alone has climbed to over 41,000 and is increasing. The Punjab government has established a ‘Donkey hospital’ where owners can get their animals treated free of cost. According to the donkey breeders, the animal costs Rs35,000 (Dh900) to Rs55,000 and could earn for the owner Rs1000 per day (Dh27)—a sufficient amount to feed a poor family in a day. Due to the increased demand of hide in China over the last few years, hundreds of thousands of donkeys were illegally killed across the country. While the hide was smuggled to China, donkey meat was sold in the market. According to reports, a number of restaurants and meat shops were shut down for selling donkey meat mainly in Lahore. The problem was so severe that the country’s top investigation body Federal Investigation Agency had to intervene to stop the donkey meat menace.